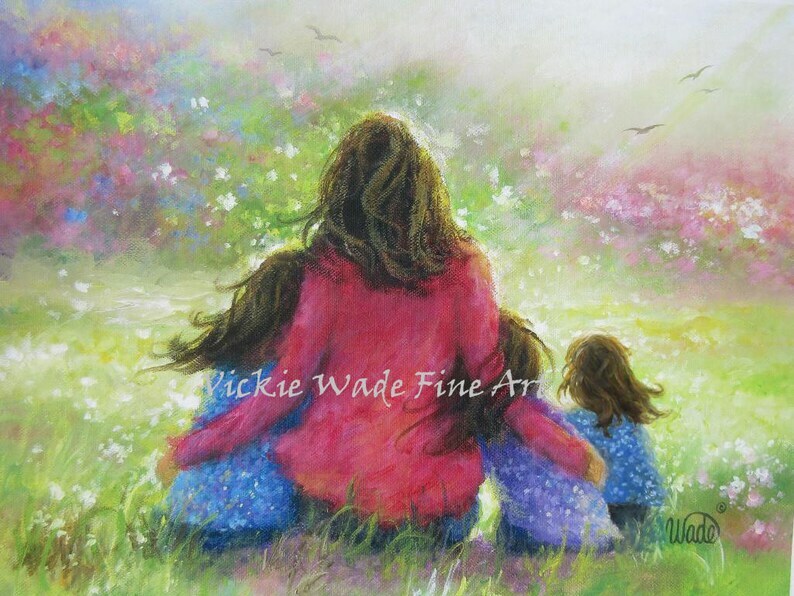 "Mother and Three Daughters in the Garden" is a large fine art print of an original oil painting of mine. * This print fits nicely in a standard 16" X 20" mat/glass/frame combo found at stores like Michael's Craft Stores, Hobby Lobby or other home decor shops. * Ships in a protective cello sleeve rolled in a sturdy tube. Vickie was so kind and shipped this piece same-day for me to be able to have it by Christmas. She was very quick to respond to my email. Included in the package was a lovely note and instructions on how to frame the piece. My dad absolutely loved this print. I would highly recommend this shop and seller!! Thank you!! The print was beautiful! Thank you!! !